A detailed account of the origins and design of the Adder series of Combat Cars can be found elsewhere in the database. However not all the Adders taken from the ancient military designs were of a wheeled variety there were others too. 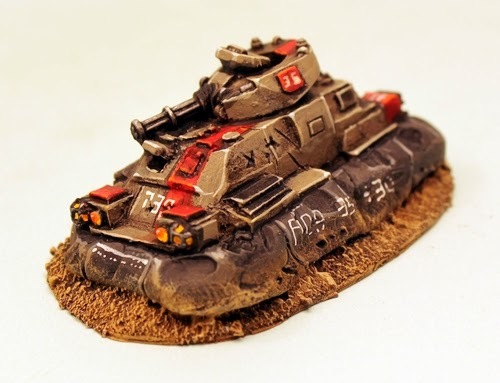 In some campaigns the Muster required light vehicles that could traverse ground that wheeled and tracked designs could not. While repulsar technology was available its relative expense compared to more primitive lifter technology for hover propulsion made the production of a huge number of Adder Combat Lifters the feasible choice for equipping the Prydian Army. Worlds with a lot of water and swamps and also urban zones with broken ground were ideal for these vehicles. They could carry a four man fire-team or they could act in a support role with mounted weapons in the same range as those used by crewed weapons or battlesuits. A modular hull meant that often only the turret and some internal systems had to be changed over to create a new model in the series. Adder Combat Lifters come in many types within the series. With an average weight of just over seven tons and roughly seventeen feet in length that Adder is not as resilient a vehicle as the Mullo used by the Retained but its easier to maintain. A colour coding system is in use to make Adders easy to assign to Regiments (and indeed the Marcher Barons use the same system) and to allow Muster who can sometimes not be as used to war as a Retained Knight a simple recognition method. The Red Adder is the standard Combat Lifter with space for four and mounting a turret with a Moth 88 Rotary Cannon. The Yellow Adder is the fire support lifter and has two crew along with a turret with an Anda 60mm Missile Pod. The Black Adder acts as an armoured punch giving the Muster the ability to knock out battlesuits and other smaller tough targets with two crew and a turret mounted Fretan Rail Gun. 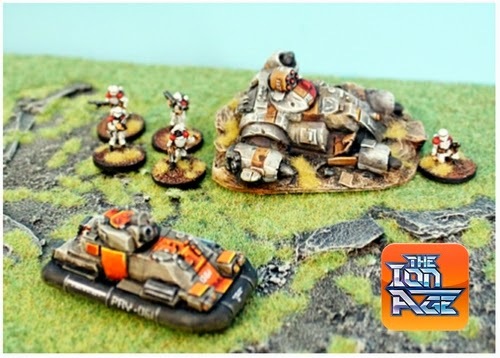 Less common is the Orange Adder which is infantry support mounting a specialised turret with a Moth 30 automatic 50mm Grenade Launcher which is a recent introduction to the series. Others in the Adder lifter series include the Green Adder which is a command and control at the battalion level and the White Adder for medical teams and battlefield triage. The 'Battle Taxi' type Grey Adder is heavily modified and can carry two fire-teams or a whole squad at a real squeeze. There are also some very specialised Adders too for purposes such as Blue Adder, the Brown Adder and the Purple Adder. Every Muster Regiment is in possession of hundreds of Adders across the spectrum for all its roles and since they are so easy to fabricate and to maintain they are making a real impact in the ongoing Civil War and in the Camarthen Star System too. Every order placed gets the IMP11 Female Adventurer (worth 0.60GBP) included free automatically. Go HERE. There are many more images of each of these vehicles on the pages of the website. The Adder Combat Lifters are resin and white metal vehicle kits which require a small amount of assembly. They have a single piece highly detailed body in resin and a separate turret in resin which if required comes with a white metal weapon to mount and or white metal hatch covers. The smashed adder is a one piece resin casting. 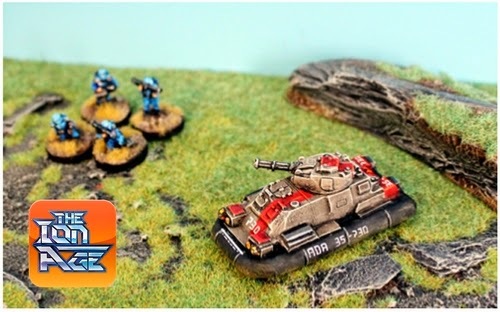 Excellent value and useful for just about any 15mm science fiction wargame from the present day to near future and space opera too. An Adder Lifter kit once assembled is approx 60mm long, 30mm wide and about 25mm tall. Typically only two or three pieces which are very easy to assemble. The Smashed Adder Lifter is approx 70mm long and 40mm wide in one piece of resin. 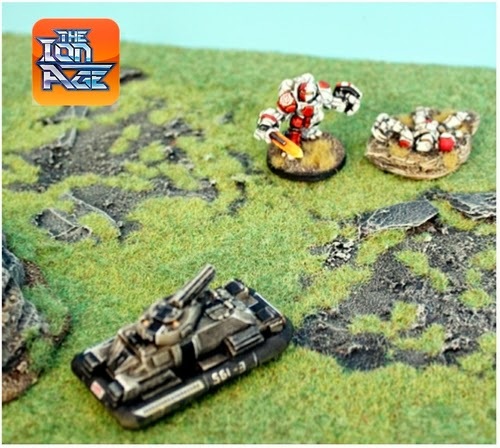 It can be used in your games as a terrain marker, a scenario objective or a casualty of an Adder in play. At the end of the promotional period we will ship out all orders that contain these ESO Offer codes alone or with any other items from our ranges. All orders that do not contain these offer codes will continue to ship out as normal. 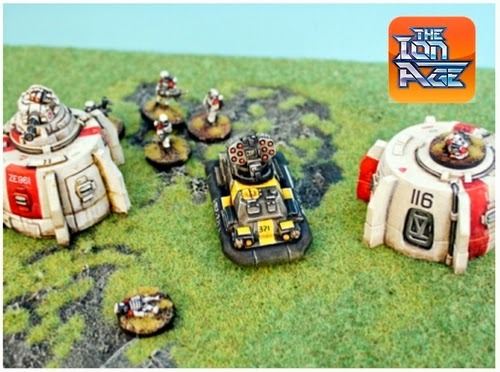 The Adder Combat Lifters and their supporting codes along with all of the 15mm white metal Muster miniatures are all working towards the release of Patrol Angis our 15mm skirmish science fiction rules system. 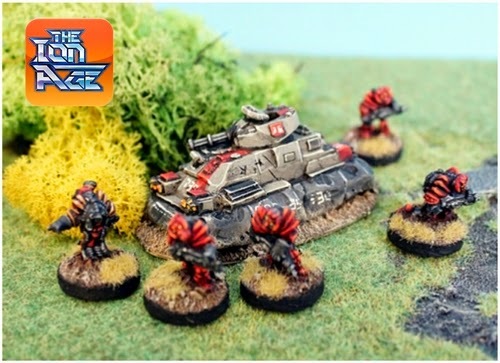 In the vehicles expansion of the game the Adder will join the Skylark in performing duties such as combat support, troop transport, precision armour killer and general artillery call downs with more to come later. We think that the Adder Combat Lifters are great light vehicles and we hope that you do too. Excellent Value and very useful. Thank you for your support of all of us here at The Ion Age in allowing us to pursue our dream of a space opera future that is wholly its own. Thanks Atom Kid! You have good taste. Ion Age Year One Collection now online! IAF015J Smashed Hab Dome released! Coming soon...The Year One Collection! Adder Combat Lifters five variants now released! Adder Combat Lifters lifting off! Sneak Peek - Smashed Hab Dome coming soon!